Yes, you read the title correctly. A fairly new allergy, Red Meat Allergy, is being blamed on the bite of the Lone Star Tick (Amblyomma americanum). This tiny terror of a tick originates in Texas but has now migrated its way eastward along with the deer population to just about every state except Michigan, Wisconsin and Minnesota. All three life stages (larva, nymph, adult) of the Lone Star Tick feed on humans, and can be quite aggressive. Lone star ticks readily feed on other animals, including dogs and cats, and may be brought into the home on pets. Doctors didn’t even know it was possible for ticks to trigger the allergy until 2011, when researchers at the University of Virginia sought to find out why so many people in the area seemed to be developing allergies to red meat late in life. Alpha-gal patients can safely consume poultry such as chicken or turkey; however red meats such as beef and pork, game like venison and for some even milk, will cause a reaction. It takes a blood test to confirm the diagnosis and treatment is basically the same as for any other allergy. Avoidance is of utmost importance, but if an episode occurs, one can take antihistamines, or if necessary, steroids. So far, health practitioners haven’t had much success with desensitization techniques. It’s important to note that if a person suffers multiple bites over time, as is common in tick-ridden areas, the allergy will worsen. Be aware that ticks can attach anywhere, in particular, they will find spots like: the back of your knee, around waistbands, under armpits or any other constricted place. Any time after you have been in tick habitat you should thoroughly check your entire body and remove attached ticks immediately. Once attached, ticks DO NOT wash off in the shower. NAET® was discovered by Dr. Devi S. Nambudripad in 1983. Nambudripad’s Allergy Elimination Techniques, also known as NAET, are a non-invasive, drug free, natural solution to alleviate allergies of all types and intensities using a blend of selective energy balancing, testing and treatment procedures from acupuncture/acupressure, allopathy, chiropractic, nutritional, and kinesiological disciplines of medicine. NAET is uninvasive, relatively inexpensive and easily administered. 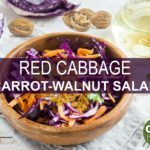 Therefore, it might be worthwhile to try NAET for Red Meat Allergy. It’s important to note that, as of yet, there are no clinical trials or studies specifically using NAET for Red Meat Allergy. It’s interesting to note the following case: Succesful treatment of food allergy with Nambudripad’s Allergy Elimination Techniques (NAET) in a 3-year old: A case report. Caroline B Terwee. Cases J. 2008; 1: 166. Published online Sep 19, 2008. doi: 10.1186/1757-1626-1-166. A 3-year-old girl was intolerant to milk, sugar, egg white, pork meat, and other foods, causing eczema and dyspnoe. 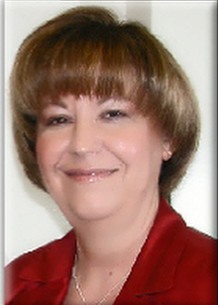 She was treated with Nambudripad’s Allergy Elimnation Technique (NAET), a combination of kinesiology and acupressure. After 7 treatment sessions (within 4 weeks) she was free of symptoms. After three years, she can still eat everything without symptoms. This case report highlights the possible benefit of NAET for children with food allergy. Randomized clinical trials should be encouraged to study the effectiveness of NAET in treating food allergy. Wear light-colored pants tucked into boots and long sleeved shirts (makes it easier to see tiny ticks) and a hat. Use essential oils blends made especially for repelling pests (check out Botani Organics Tick Guard Repellent Spray). By the way, evidence suggests that the more common bug spray chemical, N,N-Diethyl-meta-toluamide (DEET), isn’t useful against ticks. Check your pets every time they come in from outside especially if they are around brush or forest areas. Keep your yard tick-free by implementing landscaping that deters mice, deer, woodchucks and other rodents that carry ticks. Remove tick habitats such as leaf piles, shrubs and ground-cover near the house. Children’s play sets should be kept in the sun, away from the shade.Hiking and camping aren’t the most common ways to catch a tick-borne disease, said Kirby Stafford III, the state entomologist at The Connecticut Agricultural Experiment Station and the author of the “Tick Management Handbook.” “We estimate three-fourths of people pick up the ticks in activities in and around the home,” with children’s play and gardening being some of the riskiest activities, Stafford told Live Science. Parents should also make sure to do tick checks on children when they come in, he said. 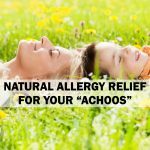 Natural Allergy Relief for Your "Achoos"